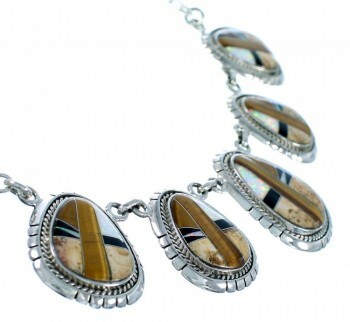 Sterling silver, Tiger Eye, Picture Rock, Black Inlay, and Opal. 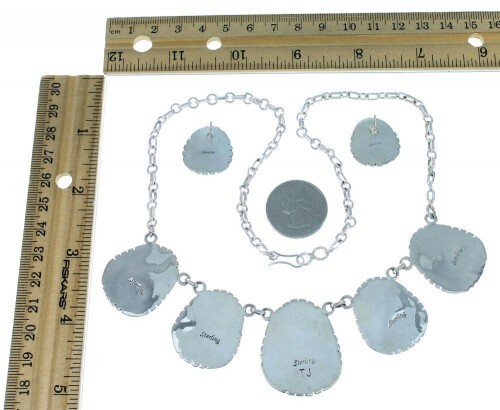 Necklace measures approximately 19-7/8" inside circumference, allowing each side link to measure approximately 1" long (excluding side rings), and 1-1/8" wide, while the center link measures approximately 1-3/8" long (excluding side ring) and 1-1/8" at widest point. The necklace weighs 57 grams. Post earrings measure approximately 7/8" long and 3/4" at widest point. 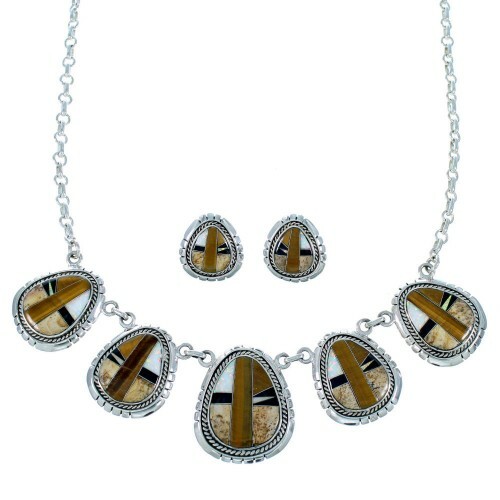 Take a look at this fantastic jewelry set! This jewelry set is hand made out of genuine sterling silver and multicolor inlay. Real Tiger Eye, Picture Rock, Black Inlay, and man made Opal are delicately set in FIVE links while twisted silver accents wonderfully. Cut through work can be seen highlighting and completing the necklace perfectly. The necklace is stamped sterling and hallmarked. 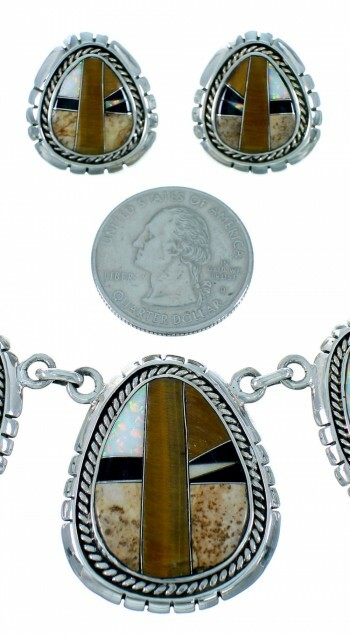 The earrings perfectly match the links on the necklace and have inlay that is carefully set, while creating stunning designs. The earrings are stamped sterling.